Wonderful, light and bright 3 bedroom 2 bath CBS home on a double corner lot with circular driveway and fenced in yard. 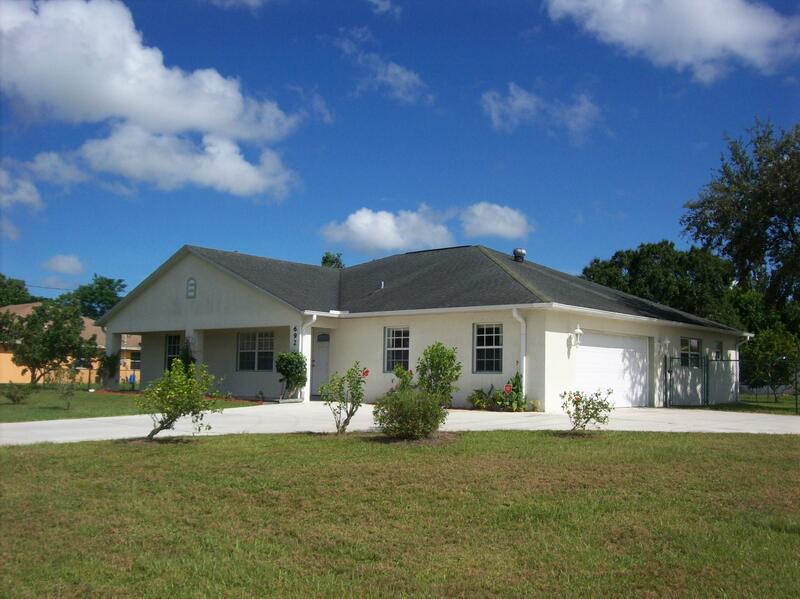 This home sits on a half acre and is located in the heart of Port St Lucie. Open concept, split bedroom, beautiful tile throughout house and screened in porch. Massive master bedroom with an extra large walk-in closet. Kitchen with breakfast area and snack bar. Custom built with over size garage and insulated garage door. The fenced yard has a large 24' x 12' utility shed with electric and water, nice walkway from shed to back porch. Lots of fruit trees. Sprinkler system on well. Hurricane Shutters. Plenty of space for pool, RV and boat! Do not miss the opportunity to own this unique property.